Unfortunately, in reality, people who wish to do you harm don't tell you beforehand. This is a critical, potentially life-saving topic that I have wanted to address for quite some time now. The accompanying video is meant to burn into your brain, a visual of the ever-present danger that LEO's face during every contact; as well as a technique concealed carriers can use to win a deadly force incident. I am a former LEO and still have many friends who place their lives on the line while patrolling the streets. 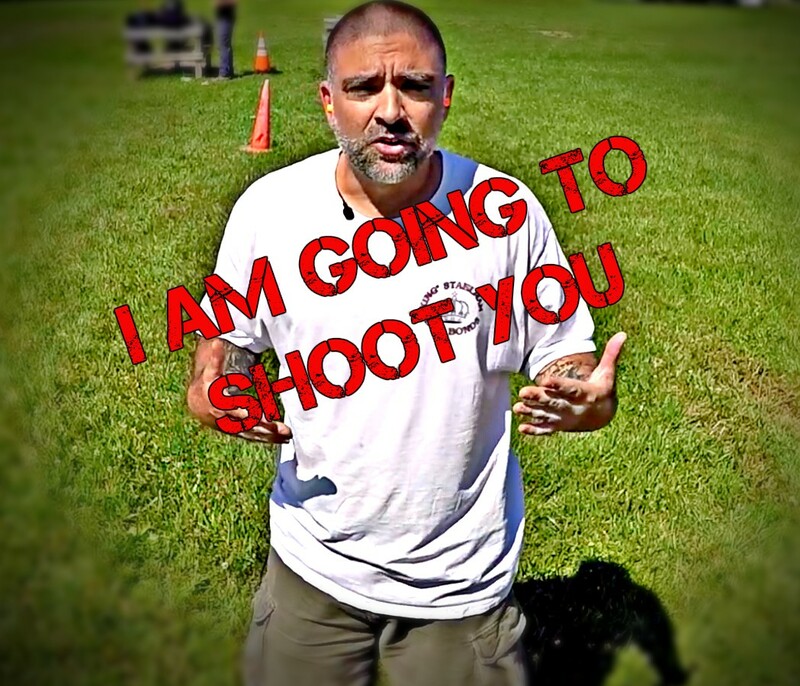 And I also provide firearms training to civilians wanting to obtain a concealed handgun license as well as raise their overall competency with their firearm. While the topic affects both groups differently, it is equally important and may be something that saves your life one day. What you will see in the video may be something you never thought about before, but after viewing, it will become evident why it is something you must be aware of, and beware. Were you expecting to be shot? If you were on another disturbance or routine trespassing call, would you have perceived me as a threat? Did you key in on my hand movements, mainly the ones around my waist? Looking back could you see how I used my talking and my constantly moving hands to distract you, giving me the opportunity to grab the firearm when I felt most ready? Have you ever thought about shooting through a garment of clothing? 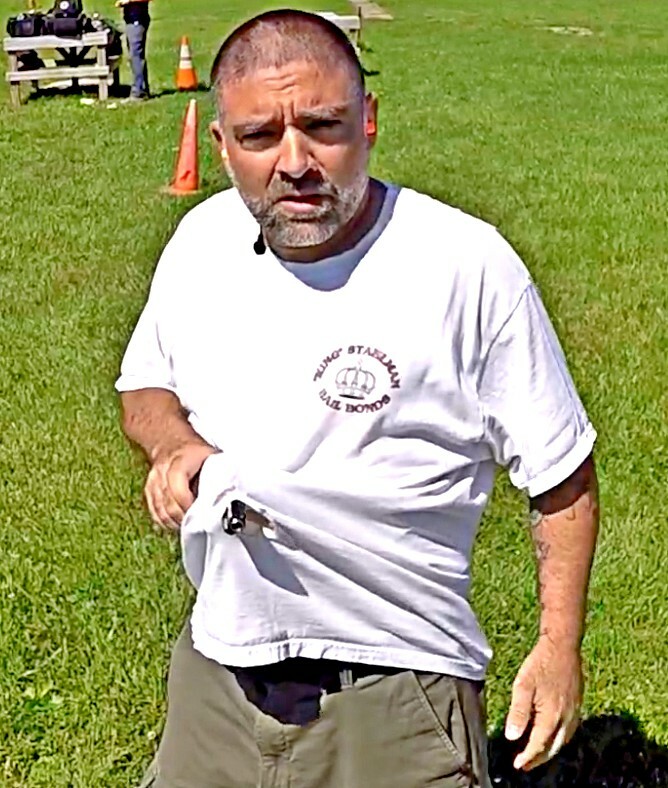 Have you ever practiced your draw and had your gun get caught up in your shirt because your shirt slipped out of your hand? What did you do? Did you continue through the draw, or immediately stop? Have you ever practiced shooting from retention? 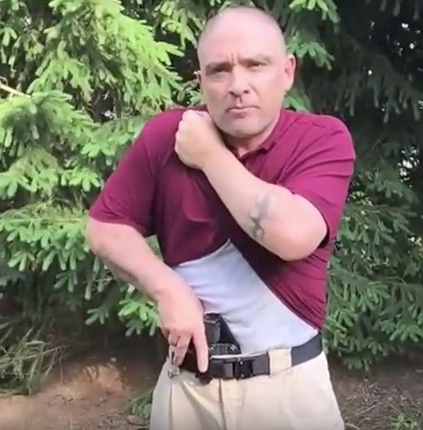 Especially considering that shooting under your shirt makes it more difficult to provide enough room for the slide on a semi-auto handgun to fully cycle? Can you think of a scenario where exposing your firearm may put you at a disadvantage, but shooting through a garment like in the video may be the best or only option? The above questions are just the obvious ones that you as an LEO or Concealed Carrier should think about and be able to answer. Waiting to see the gun before identifying me as a threat? You're too late. Watch the hands and any furtive movements toward the waist, as most people carry a firearm on their waistline. Be aware of distraction techniques that suspects use to buy time, so they can pick the most optimal time to strike or run. While obviously sometimes there are no prior clues to someone's violent intent, don't discount tiny red flags that pop up during the contact. Subtle non-compliance, repeatedly asking questions or parroting responses, repeated scanning of the area and in some cases, overly-compliant behavior should not be ignored. Looking back at many uses of force, I can tell you that rarely did the suspect give just one clue. There are usually several minor actions that, when looked at in their totality, add up to an obvious picture that this person is going to be violent. For obvious reasons, practicing this technique is potentially dangerous. Before running through this drill live on the range, ensure you dry fire it. Start slow and ensure you have exceptional muzzle discipline before you even think about loading live ammunition. Even after that much practice, the very nature of the technique increases opportunity for injury, execute it responsibly. … don't just stop, quit, and say: Okay, I want a do over. Work through your clothes hanging up, and prove to yourself that if things don't go as planned (as they often don't) you can still adapt, overcome, and win. Drawing your firearm from concealed doesn't always go as planned. Even if you practice a million times, there is always an opportunity for something to go wrong. Additionally, think about a scenario where exposing the fact that you have a firearm may place you at a disadvantage. While I would say that 99% of the time drawing your firearm on a threat who already has a firearm is a really, really bad idea. In a situation like this, picking the right time to draw your firearm and respond is crucial. But what about the rare situation where there is a threat who has the tactical advantage of already having their firearm out? Where you can no longer wait for the optimum time to expose your firearm and show the attacker you are aremed. What if engaging the threat with the gun beneath the shirt can allow you the element of surprise, shifting the balance in your favor? Yes, it's probably an extremely rare incident, but better to know that you have the skill in that rare situation, than discount it as too unlikely to ever happen. Remember for most of us, remaining alert and aware of our surroundings is likely to reduce the compromising positions we find ourselves in. But if the need arises, you have to ensure you are ready, by training for a number of things to go wrong and how you overcome them. For LEO's don't discount the nonverbal cues and red flags that alert you to the fact that the person may be assaultive. Do you want to receive our Free Newsletter to find out about new articles, training, discounts in our store, and lots of other cool stuff? If you do, make sure you sign up. Yeah wow, that was something I honestly never thought about doing! Even though I knew something was about to happen it took me by total surprise. I was not expecting that at all! I would have died. Lol thank you for the training. Thanks for doing what you guys do. Hi Lonny.Thank you for the feedback. I am glad you got something from the article and video. I just want people to know that a deadly force encounter may not go exactly as planned or even look pretty. Stay safe!! Great video and demonstration on how fast something can go bad. Always be alert keep your distance. The closer someone is the faster they will be on you and less time you have to react.